Years ago, almost every home was capped with a black shingle roof. These days, you see an array of colors, from pale green to slate gray. With so many options, choosing the right roofing shingle color may seem challenging. Here are some questions to ask yourself as you make your choice. How important is saving energy? If you’re trying to be as energy-efficient as possible, consider choosing a lighter color roof. Light brown, tan, cream or pale gray is going to absorb less heat from the sun than black or dark brown. Your home will stay cooler in the summer, and your air conditioner won’t use as much electricity. What colors are the other roofs in your neighborhood? In the most upscale neighborhoods, going against the grain may be frowned upon. If you live somewhere like this, you may want to stick with the colors that are popular in your neighborhood. On the other hand, in artsier, city communities, standing out may be the way to go. Does everyone else have a brown roof? Maybe green would make your home the talk of the town. What color exemplifies the architectural style of your home? Think a bit deeper than matching the color of your roof to the color of your siding and trim. What colors are commonly associated with your home’s architectural style? For example, if you have a Craftsman home, a brown roof is the go-to option. If you have a Victorian home, a black roof is traditional. Are you ready to look at color samples and pick the perfect roof for your home? Contact us to set up your appointment. The roof is an important part of your home. When things go wrong here, other things regarding your home will begin to falter. Here are five warning signs that will let you know your shingle roof needs to be replaced. Curling shingles are also referred to as clawing shingles. When these roof tiles curl, this is a sign of two things, your roofing system is getting old, and your roof has been exposed to excessive heat. Shingles in this condition are prone to ice and wind damage. Once shingles sustain damage, they are susceptible to becoming rigid. Stiff shingles break easily and lose tab edges. Loose or missing granules and bare spots are commonly caused by downspouts that are incorrectly placed, insufficient eavestrough, and a drain design that is not ideal for a second story home. 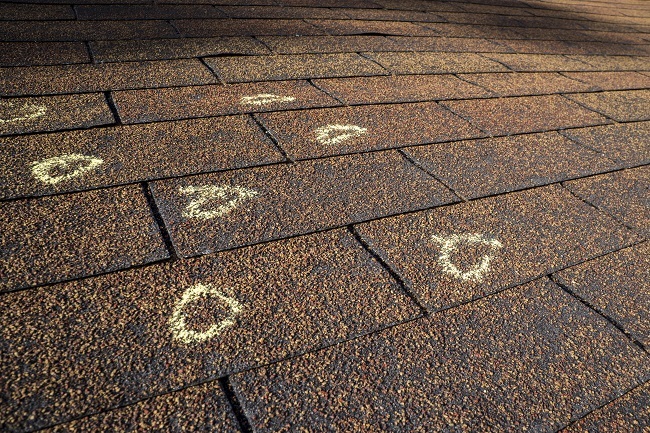 Other factors that can cause bare spots include granule loss, physical damage, and a roof that is aging. Broken shingles can put a roof at its most vulnerable point. Broken or missing roof tile compromises the safety and effectiveness of a roof where it is not able to shed water. A weak roof can become an entryway for water. Common causes of missing or broken shingles include physical damage and damage caused by the wind. Common causes of buckling shingles are an aging roof and underlayment that is poorly or improperly installed. Wet underlayment is another common cause of buckling roof tile. These type of shingles are extremely prone to ice and wind damage. Because buckling rooftop tile is weak, they can easily be torn off a roof. These type of shingles are ones that are distorted, wavy, and appear vertically on a roof’s slope. Dried out caulking, separation, and lifting is all weaknesses of flashing that are located around chimneys, valleys, and skylights. Expansion and contraction cause separation and lifting. Damaged flashing can become loose and allow water to get underneath, allowing water to create further damage. If any of these warning signs seem familiar, your roof may need to be repaired or replaced as soon as possible. 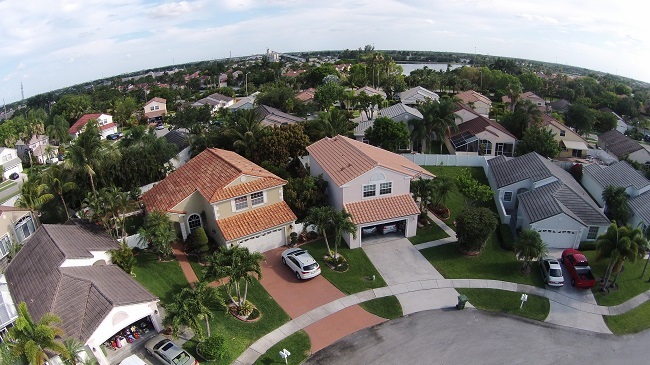 Many complex roof problems start with a simple leak and can escalate to a more serious issue. Contact us today to see how we can help improve your roof. When it is time to change the roofing materials in your home, it can be a difficult decision to make. Nevertheless, finding solutions for the roofing materials you need does not need to be stressful. Along with having professional guidance, homeowners are finding that the newer materials are environmentally friendly, but also more affordable than ever. To get a better idea of the types of roofing services materials to consider for your next roofing project, keep reading. Although A-frame roof or “cap roof” styles are popular throughout America, this does not mean they are still the best choice for the modern age. When it is time to replace the roof, some homeowners decide they need to remove their roof and replace it with materials that will give it a flattened shape. 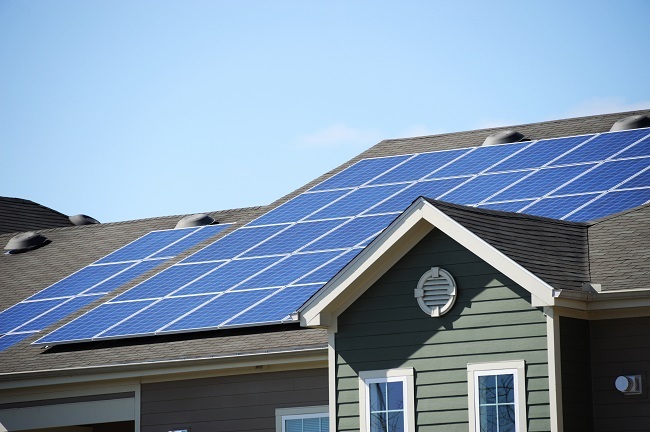 This allows homeowners to use the rooftop for solar panels they can gain access to easily. Flat roofs are also a popular option for homeowners that prefer to do container gardening. This is also a priority for homeowners with small children or pets that need a play area with secure boundaries. The type of roofing material found on most flat roof surfaces intended for regular activities is heat-welded modified bitumen placed over tar. Living in a big city today might create problems called the “heat island.” Thankfully, this environmental issue that costs cities millions in unnecessary utility bills is easy to fix if everyone gets on board. Namely, instead of creating housing and road features with dark colors, lighter ones are used instead. In other words, simply choosing the right color of roofing material could help you give the environment a boost. Being good to the environment while adding to the look of your stunning home does not mean sacrificing curb appeal or history. While many tout the advantages of a traditional Spanish tile roof, there are some minor improvements that are helping homeowners make this their ultimate preference. Along with improved technology under the tiles, the tiles themselves are shifting in one key way and that is color. As previously mentioned, choosing the lightest color of Spanish tile will not only add a unique point of interest to your home since most tiles are red, but it will also lower the overall cost of your utility bills because the color will reflect light. One other reason homeowners tend to choose Spanish tile is because the tiles are 100-percent recyclable. While Spanish tile has the edge for being made from pottery that is totally able to be recycled, there are other ways to save the environment when choosing roofing materials. For example, a rock roof has similar advantages to tile but requires some adhesives to keep it in place. When the right color is chosen, roof materials made from shingles or all-wood, untreated shake can be environmentally friendly. While shingles are typically made from synthetic material, they do a better job of insulating the roof, and this means overall lower utility bills. Deciding your next steps for choosing roofing materials can be daunting because the wrong choice could end up costing you. For this reason, feel free to call us at Roofity today for an estimate on roofing materials and project design We can help you create a roof that meets your goals, and we can also give you sound advice in a language you will understand. To get a better idea of our straightforward pricing for roofing repair, maintenance, inspection or replacement services, give our friendly staff a call. We look forward to your call and thank you for choosing us.